this sounds fab and will try it with some Norfolk Cordials I think… thanks for the recipe and ideas! 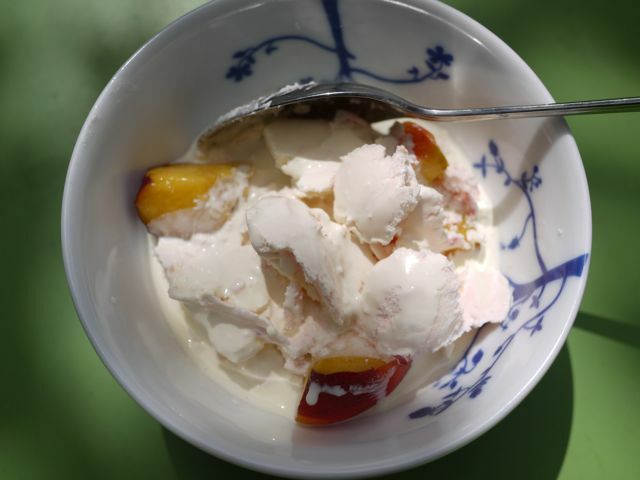 Oh yes will be very good with some Norfolk cordials here is a variant I did that had more cordial in it http://withknifeandfork.com/very-easy-rhubarb-ice-cream and you good probably up the cordial further instead of have fruit. oh that looks fab! I must make room in the freezer for the bowl, and try it with some of the elderflower syrup I made last month. And raspberries from the garden. Hmm awesome ! I will use a gallon of caramel with this ! .-= Luke´s last blog ..Best Online Schools =-.